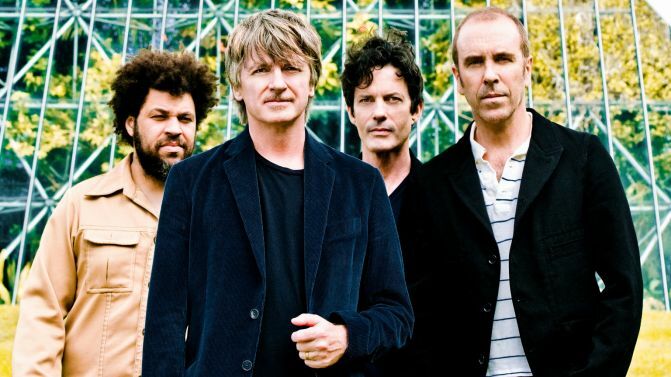 The legendary Crowded House will be inducted into the ARIA Hall Of Fame this year, joining an esteemed list that includes the likes of AC/DC, Cold Chisel, John Farnham and Nick Cave. The band, headed by Neil Finn, will return to Sydney in November to be inducted, celebrating a career that spans over three decades. It’s fitting that in ARIA’s 30th year, they’re inducting Crowded House. The band released their debut album exactly 30 years ago, a record that reached number one in Australia and spawned favourites like Don’t Dream It’s Over. Since then, the group have gone on to have huge success, selling over two million albums with five number one records in Australia. They have also notched up 17 top fifty singles here. “Since our formation in Melbourne and our first album release in 1986 we have enjoyed a special relationship with Australia, one that has strengthened and endured over the years,” Finn and drummer Nick Seymour say of the induction. This year’s ARIA Awards will happen at The Star in Sydney on 23rd November.